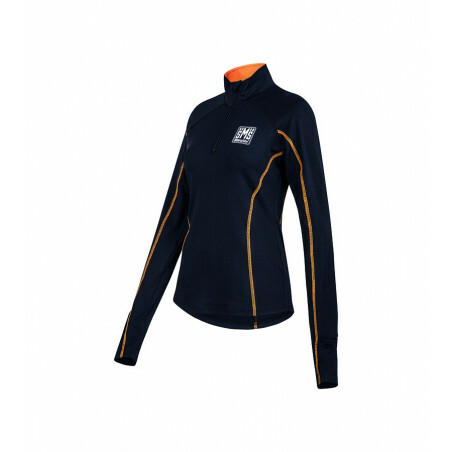 Running long sleeve jersey made of soft, breathable fabric with hydrophilic and anti-odour treatment. Provides excellent ventilation and comfort. Running long sleeve jersey made of soft, breathable fabric with hydrophilic and anti-odour treatment. Provides excellent ventilation and comfort. Short zip with breathable mesh inner collar. Elongated sleeves with thumb hole to keep your hands warm. On the left sleeve an elasticated hole allows you to Always have an eye on your watch. Santini run reflective logo on the back for maximum safety in low light conditions.